The University and College Union (UCU) Scotland criticised the board of the Aberdeen-based institution for failing to hold “any recruitment process” for the top job. Professor John Harper was named as the new principal of RGU after the shock resignation of Ferdinand von Prondzynski yesterday amid a controversy over his business links to recently-appointed vice-principal Gordon McConnell. UCU Scotland official Mary Senior expressed concern that Prof Harper was promoted despite recent warnings that universities must do more to promote diversity. She said 12 men and just five women had recently made the final shortlists for top posts at universities in Edinburgh, Aberdeen and Dundee, and only four of the 15 top positions at mainstream universities in Scotland are currently held by women. Ms Senior said: “It is disappointing to learn of Prof von Prondzynski’s resignation. “While we’ve not agreed on everything, particularly at a local level, he has made a significant contribution to higher education in Scotland. His review of higher education governance led to new legislation that should improve transparency in our universities. “It is ironic that while he made such a huge contribution to improving university governance, his former university is shoe-horning in his replacement without any recruitment process. 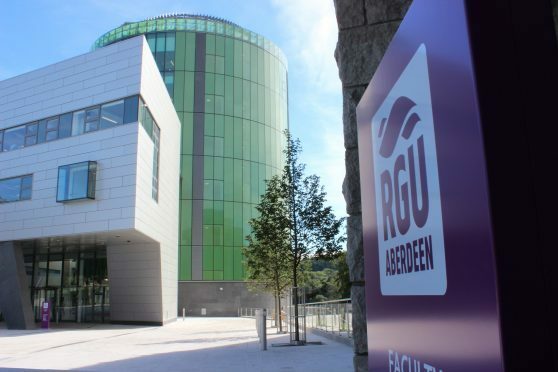 An RGU spokeswoman said: “Professor John Harper’s appointment was in line with the university’s recruitment procedures. “The board of governors acted decisively in securing stability and continuity for the university in the appointment. “Prof Harper was the ideal candidate having previously held the position of interim principal for 12 months, proving to be very effective at the role and demonstrated his leadership qualities.